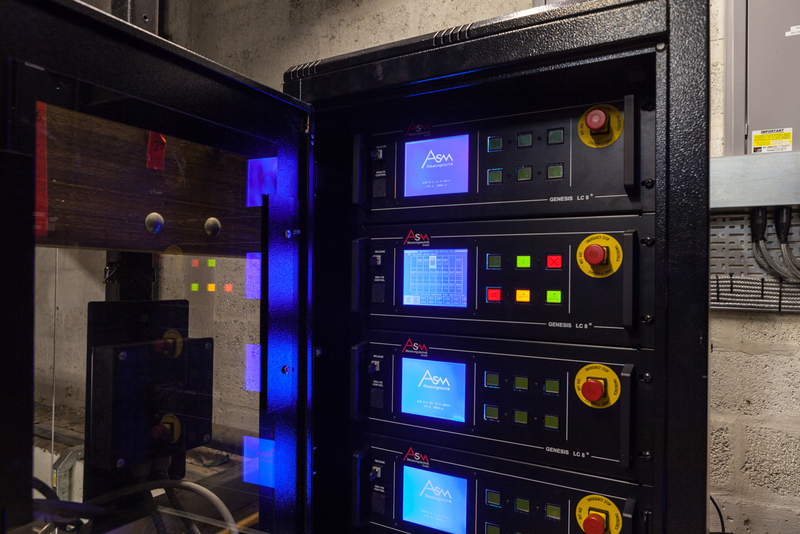 The Royal Spa Centre in Leamington Spa, owned and operated by Warwick District Council, has made a significant investment in a new automated stage rigging system and new stage lighting dimmers for its provincial theatre. The ASM HWCA Junior hoists selected by Glantre for this project are certified to the BGV-C1 standard. BGV-C1 is the highest certification level of a stringent standard, developed in Germany, that sets out a set of requirements for staging and production facilities. 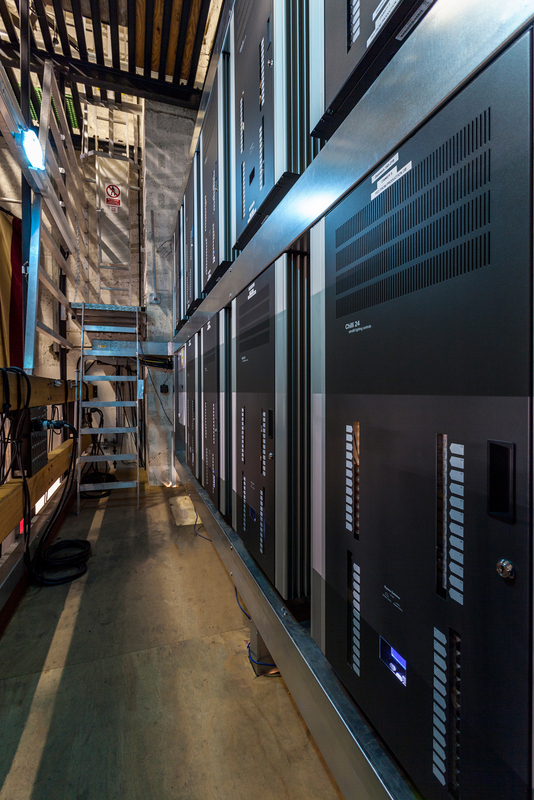 The standard deals with every aspect of staging a production, and brings together various DIN standards pertaining to each aspect of the technical systems employed. There are three levels within the standard: D8, D8+ and C1. Lifting machinery can be employed in certain scenarios depending on its level of compliance. For example, machines that are compliant to D8 standard can only be used for static suspension of loads above people when independently secured with a safety bond; machinery compliant to D8+ standards can be used to suspend static loads above people without an independent safety bond, movement of loads above people remains prohibited; machinery compliant to C1 standards can be used to move its load above people. The control system itself is both intuitive and fully featured. The architecture is straightforward and consists of the hoist power pack, LC-8 hoist controllers and the control desk. 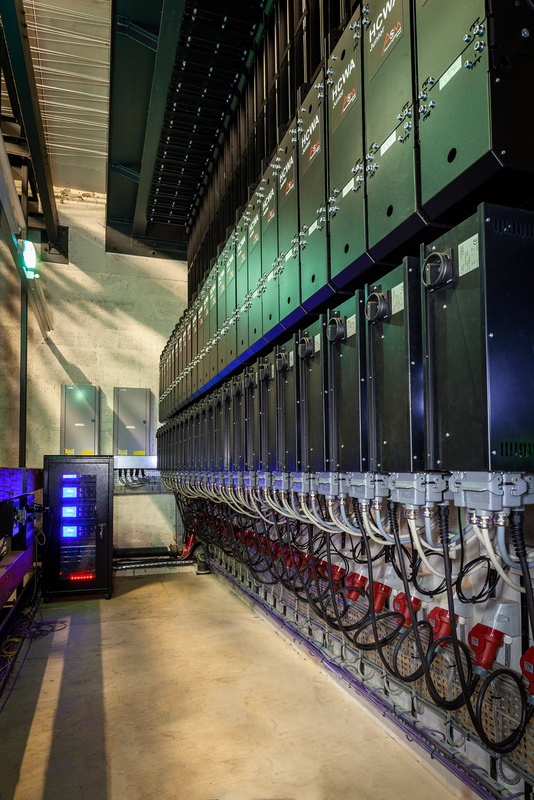 The hoist power packs connect via radial links to an LC-8 controller (8 hoists per LC-8). The technical team can control from two positions, both on the fly gallery or the Stage management position, stage left.